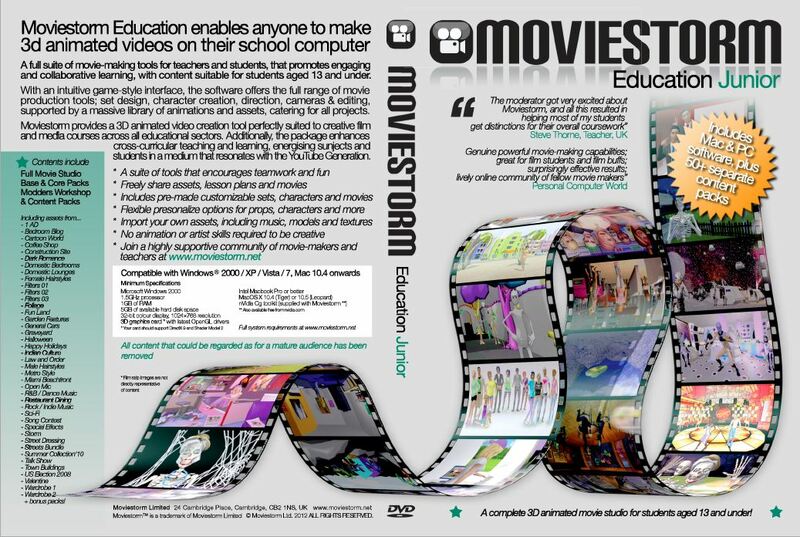 Moviestorm now provides solutions suitable for teachers from all educational sectors, and students of all ages. as unsuitable by some parents, but would support topics such as knife/gun crime, drugs awareness, and more. 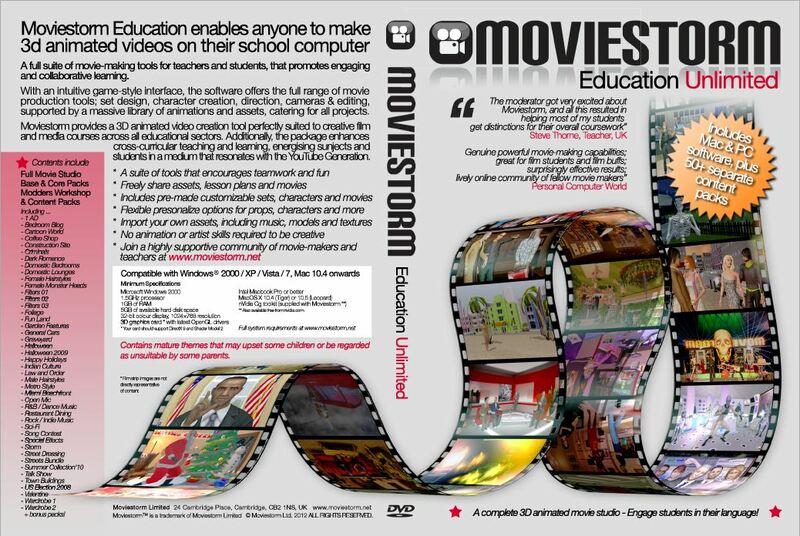 The product includes more than 50 Moviestorm content packs. removed, and as a result allows you to get Moviestorm into the hands of younger audiences. N.B. Though both products are compatible, please be advised that projects made with Moviestorm Education Unlimited may not open in Moviestorm Education Junior if the content/assets used in those projects are not common to both editions.